If you're like most triathletes the one thing that makes you most anxious about racing (other than the dreaded swim start) is running well off the bike. The secret is knowing how to save your legs during the bike. These steps will get you moving in the right direction. The number one strategy to run faster is to get in bike shape first. The absence of solid bike fitness will leave you too physically and mentally depleted to snap off a solid run afterward. Plan to spend about 40 to 50 percent of your training time in the saddle. 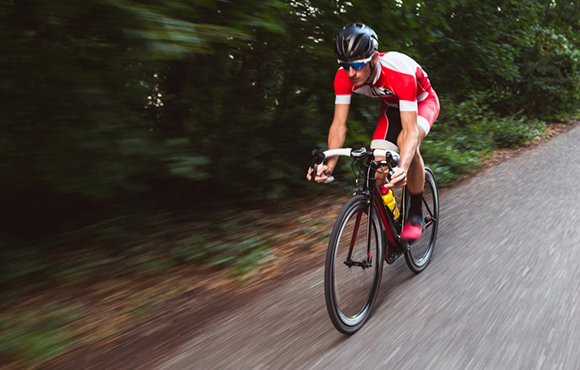 Since the bike leg accounts for about half of the overall race time, it stands to reason you need to spend a lot of training time on the bike, unless you come from a cycling background. But there's a little bit more to it than just going out and spinning your pedals. To step up bike fitness, focus on frequency. Cycling three to four times a week instead of twice minimizes the down time between bike sessions, which accelerates bike fitness and makes you more efficient simply because it improves your pedaling skills. Your total cycling time for the week doesn't have to go up dramatically. Just shorten the bike sessions and do them more often. This is where a bike trainer can be an invaluable and time-efficient piece of training equipment. A trainer will allow you to log some high-quality bike sessions in less time. If you make this one change, particularly early in the season, you'll be well on your way to setting yourself up for a stronger run leg. Tri Training: Which Sport Should You Focus on Most? Next up is to learn how to ride a consistent pace. Pacing is all about energy management: The less energy you use on the bike the more you'll have available when you trade in that bike for your running shoes in T2. The key to energy management is to minimize the variance in your effort. By keeping the variance small you use less energy because your body is able to stay in a consistent rhythm. When you have large swings in your effort, when you get excited and decide to attack a climb or chase down your friend, for example, then your body is constantly adjusting. This adjusting wastes valuable energy that can be used more effectively later on in the run. Learning how to pace is a skill that takes practice and patience. The human body is not a machine; you can't just set it on cruise control and enjoy the scenery. It takes a considerable amount of focused effort to get good at it. To learn your pace during your build phase, be sure to include specific pacing sessions at least twice a week on the bike. During these sessions, set a target heart rate or power output and keep your heart rate or power output within a tight range of plus/minus 5 beats per minute (BPM) or watts for a specific period of time. Once again, the best and safest ways to do this is on a bike trainer. Include blocks of time, such as 2 to 3 x 5 to 20 minutes where you focus on controlling your pace. Start small and stretch out the duration as your skill improves. Also, as you become more proficient, change gears and vary the cadence to simulate what it's expected to be like out on the race course. Only one session per week should be a race pace effort. Keep all other bike pace practice sessions aerobic. Focus on your breathing during these sessions and compare it to your heart rate or power output. Soon you'll be able to effectively use your breathing rate as a way of gauge your effort during your race. Running well off the bike, just like pacing, takes practice. 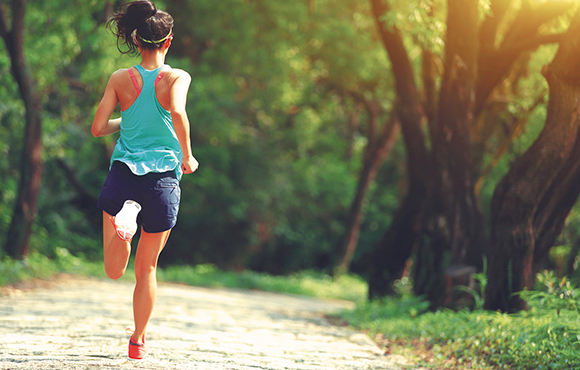 The fact is the more often you run immediately after cycling the more physically AND mentally confident you'll be in your ability to run off the bike. Not every session should be a hard run, however. 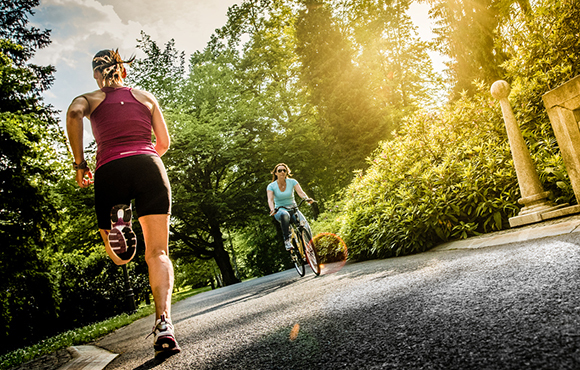 You need intense and frequent bike/run sessions. Add your high intensity bike/run sessions in the last few weeks or months leading up to your key race, but limit this to once per week. 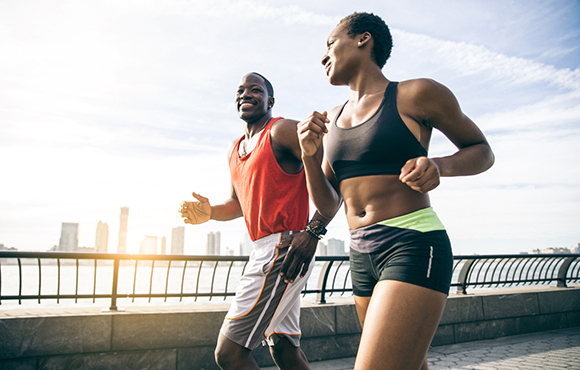 Keep your other runs off the bike short (10, 20, 30 minutes) and at a relaxed pace. Do this early and often in the season to teach your brain how to conserve energy for the run, which will pay huge dividends come race day. Also, frequent runs off the bike will give you ample time to practice how to quickly get into run rhythm. 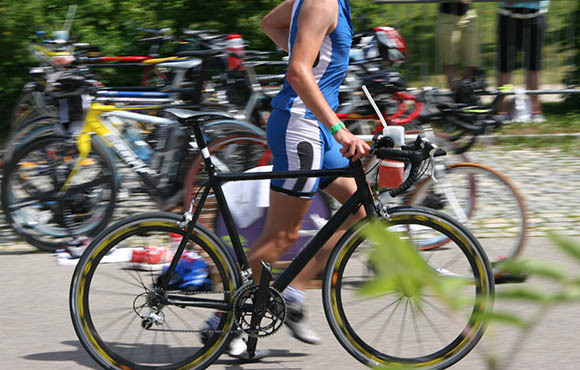 During the bike leg, a good strategy is to ride the first half one gear easier than you feel you can hold. This works particularly well in long course races because you know you're saving energy and it allows you to build momentum gradually as the day goes on. Combine this tactic with good pacing and you're well on your way to a faster run split. 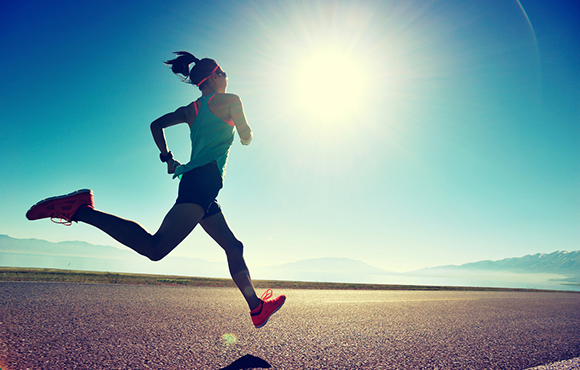 Once on the run, have a simple strategy to quickly get into run rhythm. Create a mental checklist to review your equipment, nutrition and hydration status as you head out of T2. Then focus on a self-talk phrase that quickly gets you in good run form and fast leg turnover. Your self-talk might be something like repeating "smooth" or "quick" to yourself. Or you might prefer to count steps. Just find something that works for you. Practice it in training so it becomes automatic. With these tactics in hand, plan for a more confident run as you ride into T2. Do You Have a Strong Running Core?